As of 1 August 2017, the European Centre for Disease Prevention and Control (ECDC) has reported 72 cases of Legionnaires’ disease (LD) in European residents returning from travel to Dubai, United Arab Emirates (UAE), including 34 cases in travellers from the United Kingdom (UK) since 1 October 2016 . In comparison, the UK reported an average of ten cases for the corresponding period in 2014-15 and 2015-16 . All those infected stayed in Dubai during the 2 -10 days before onset of symptoms . All cases are laboratory confirmed. Dubai is a popular destination for UK travellers, who represent the third largest group of visitors by nationality to Dubai; this may explain the higher number of LD cases in UK travellers compared to those reported in other European Union countries . The UAE authorities have reported that risk assessment of accommodation sites and of possible high-risk sites such as cooling plants and major fountains has been undertaken in Dubai. To date, no single source of infection has been identified . 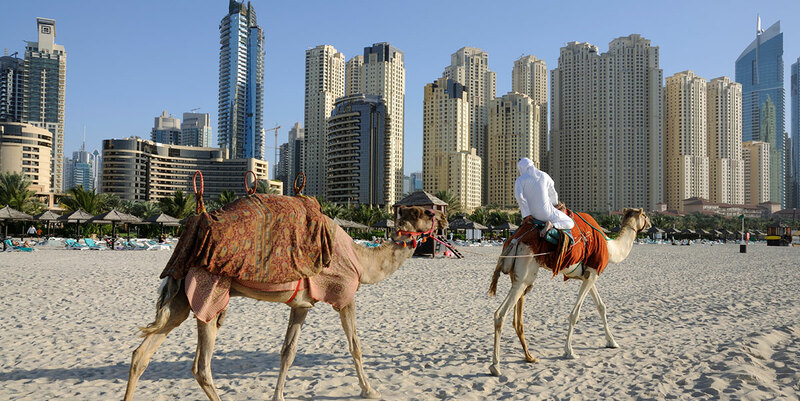 In response to the situation, Public Health England (PHE) and NaTHNaC have assessed the risk and published a Risk Assessment on Legionnaires’ disease associated with travel to Dubai advising that the overall risk to UK travellers to Dubai is low . However, in the absence of a potential source(s) being identified and with limited information about the wider public health investigations being carried out in Dubai, PHE is unable to advise about the potential environmental source of these infections. There may be an increased risk for those persons who are generally more likely to develop LD due to their older age (over 50 years), smoking or an underlying medical condition (such as immunosuppression or long term respiratory conditions). The World Health Organization has not advised against travel to Dubai . All LD cases identified so far travelled to the city of Dubai. A small number of cases have travelled to Dubai in addition to other destinations both in and outside of UAE. There is currently insufficient information to suggest there is a risk in other areas of UAE . LD is a bacterial infection of the lungs that usually develops into pneumonia. Most people catch it by breathing in small droplets of contaminated water suspended in air. Symptoms include 'influenza-like' illness with muscle ache, tiredness, headache, dry cough, shortness of breath and fever. Sometimes diarrhoea occurs and confusion may develop. LD is more common in individuals aged over 50 years, smokers and anyone with pre-existing lung problems or chronic medical conditions. Legionella bacteria are distributed widely in the environment. They can live in many types of water including, natural sources such as rivers and streams, artificial sources such as water-cooling towers, hot and cold water systems and spa pools. People can become exposed to the bacteria if the water systems are not properly maintained and become contaminated. All travellers should be aware of LD symptoms, as described above. If you develop these symptoms within 10 days of departing from Dubai you should get medical attention, specifying where you have travelled. This will assist the healthcare professional to make an appropriate assessment of your symptoms and clinical condition, so that appropriate testing can be undertaken. If you develop these symptoms while in Dubai, you should seek medical attention locally, as directed by your travel insurance provider . For travellers with clinical or radiological evidence of pneumonia and a travel history to Dubai in the 2 - 10 days preceding the onset of their symptoms, LD testing should be considered. A urinary antigen test or a legionella PCR test on a lower respiratory specimen may be conducted for an initial diagnosis to be made. Information for health professionals managing individuals with LD identified following local microbiological testing is available from PHE. All cases of LD (regardless of travel history) should be reported to the local health protection team (or equivalent in devolved administrations).